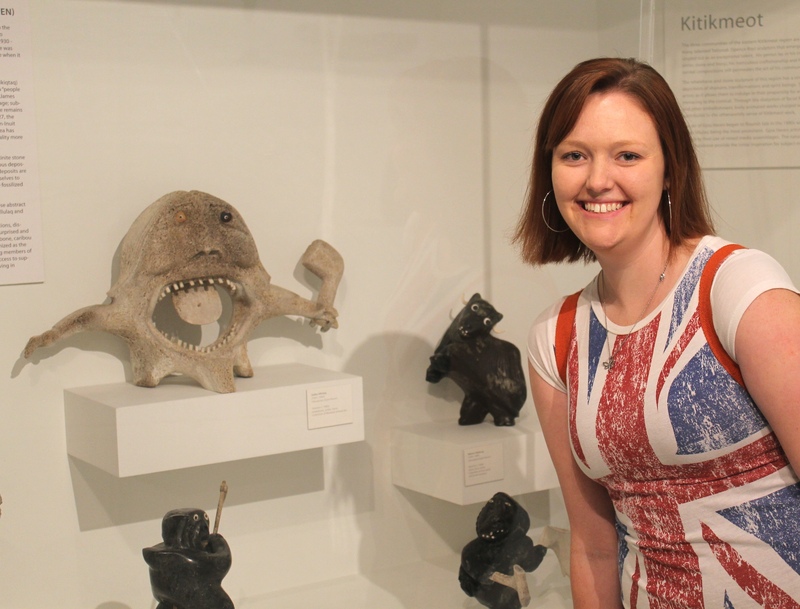 I’m interested in Inuit art. It is my favourite piece because it is comical and it’s an expression of my style. 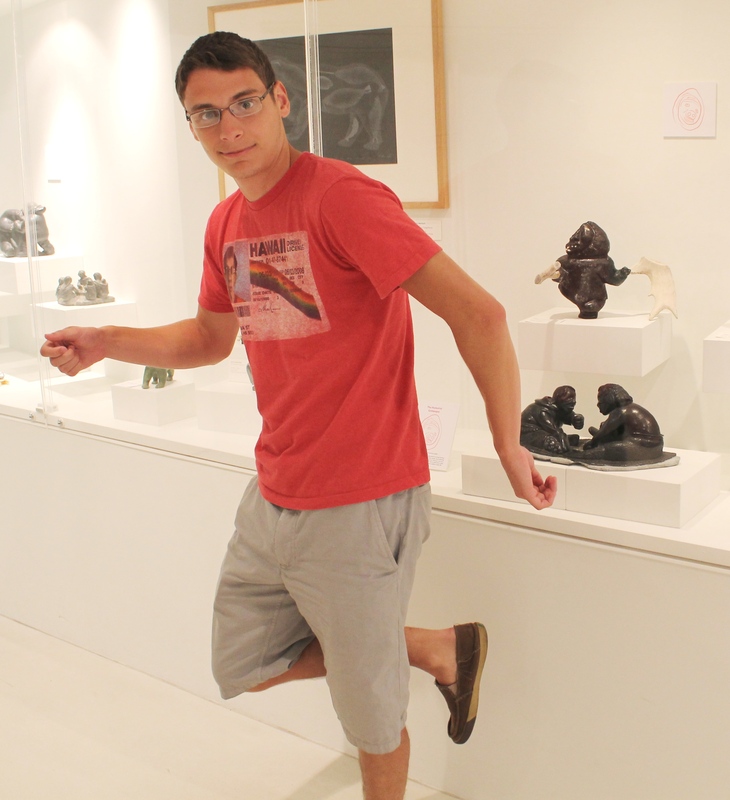 To learn more about Follow Your Art, visit us online or speak to our front desk reps to take the quiz. 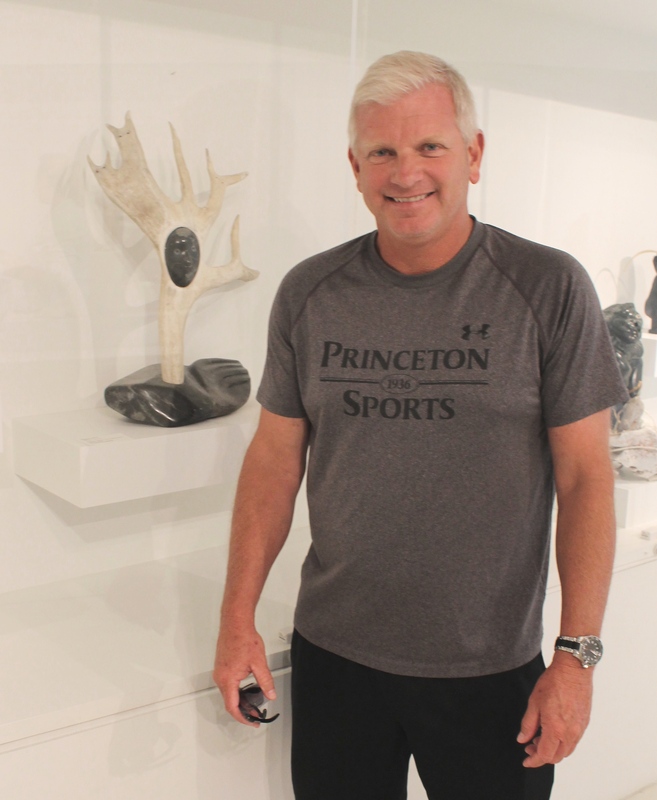 Dave P., a MIA visitor, with “Singing Shaman About Flying Spirit Helpers” (2009) by Mattiusi Iyaituk (1950-), Akulivik, Nunavik, stone, caribou antler, Sprott/MIA Collection. 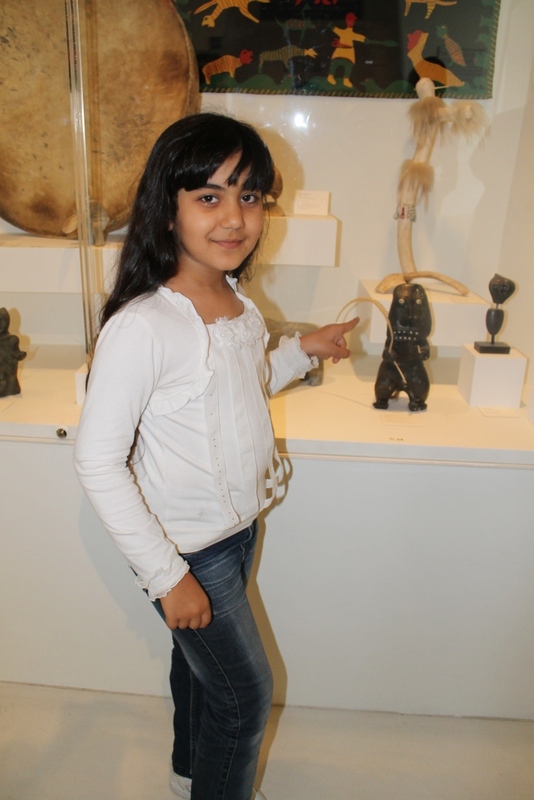 This is my first visit to the museum, I came with my family while we were visiting Toronto on a trip. I like the integration of the human and animal spirit in this piece. I saw that the museum had an account on Twitter, and wanted to come check it out in person. It’s such a playful pose! It reminded me of happier times so I really liked it. 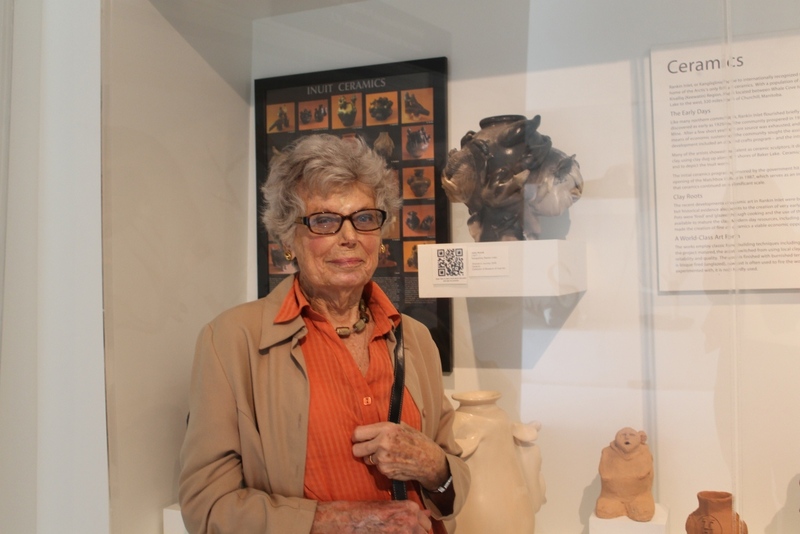 Nora V., an MIA visitor, with “Shaman” (c.1980s) by Judas Ullulaq (1937-1999), Uqsuqtuuq (Gjoa Haven), whalebone, antler, stone, MIA Collection. This is my first visit. 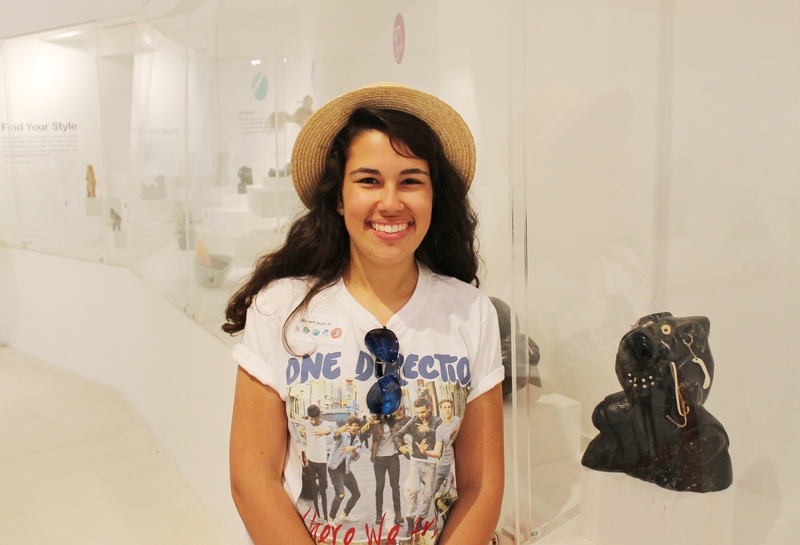 As a museum studies student at U of T I wanted to explore a new museum. I love the true expression and style of the piece. It is really a great work! 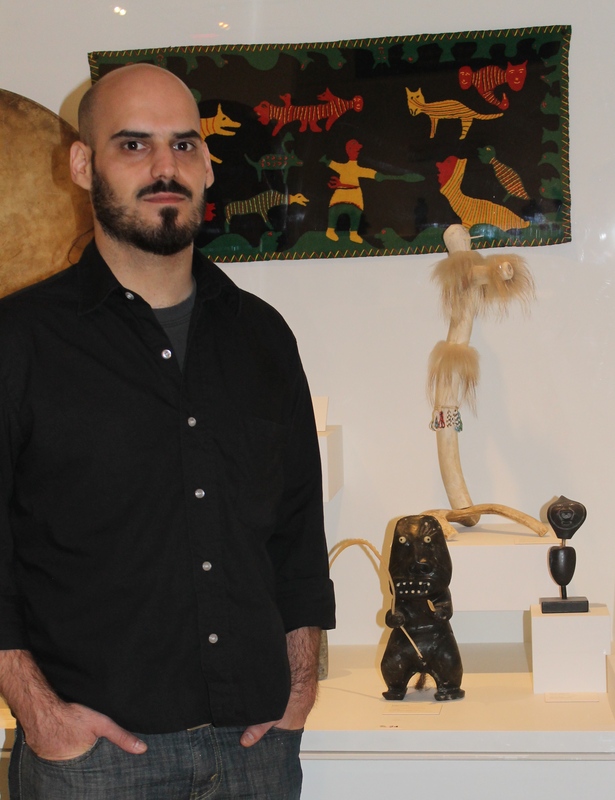 Federico P., a MIA visitor, with “Shaman” (c. 1970) by Josiah Nuilaalik (1928-2005), Qamanittuaq (Baker Lake), stone, antler, inlay, Private Collection. I’m interested in this kind of art. Because I am a porter. MIA visitor Shiva with “Shaman Performing a Ritual” (1990s) by Ralph Porter (1942-), Uqsuqtuuq (Gjoa Haven), Stone, horn, antler, hair, MIA Collection.